their lasting fame was due to Clarice Cliff who designed the Bizarre Ware range of pottery. 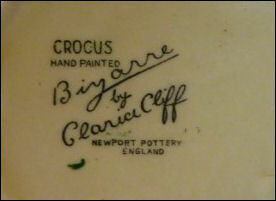 Clarice Cliff worked at the A. J. WIlkinson factory and after showing good drawing ability she attended evening classes at Burslem School of Art from 1924-1925 and studied sculpture at the Royal College of Art in 1927, returning after only a few months to set up a small studio in Wilkinson's Newport Pottery, decorating traditional white-ware. 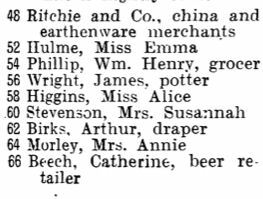 In 1927/8 a market testing of 60 dozen pieces of "Bizarre Ware" was organised by Colley Shorter. Wilkinson's salesmen were shocked by the extreme boldness of Miss Cliffs designs and further astonished by the rapidity with which they sold. Handpainted Bizarre, the name chosen by Colley Shorter, the managing director of Wilkinson's, to cover the whole range, was launched. Clarice became Colley Shorter's mistress. In 1930 she was made Art Director of the firm and in 1940, following the death of his first wife, she married Colley. 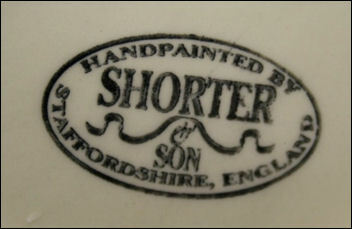 In 1878 Arthur Shorter in 1878 and his partner James Boulton set up a pottery company in Copeland Street, Stoke upon Trent. Their products were solidly in the main-stream of Victorian taste especially majolica wares of all types: jugs, bowls, flower pots and tableware. In 1926 Arthur Shorter died and over the next few years his sons felt freer to develop their firms' products along more adventurous lines most. 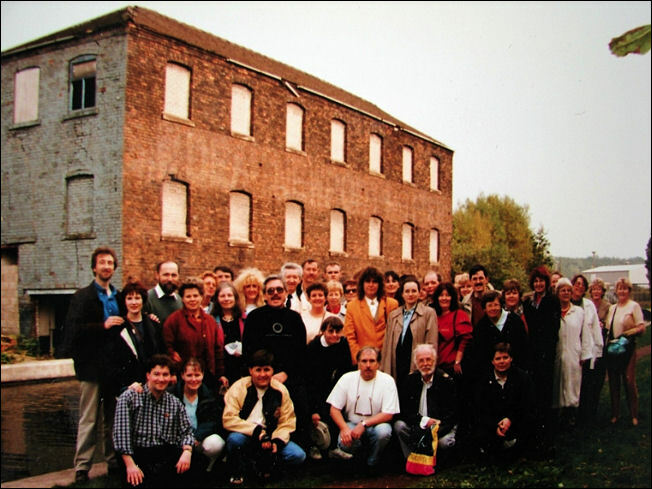 The Shorter factory itself, still the most traditional in its output, produced colourfully painted household ware and also became well known for Toby Character Jugs. The Clarice Cliff Bizarre ware was never produced at these works. 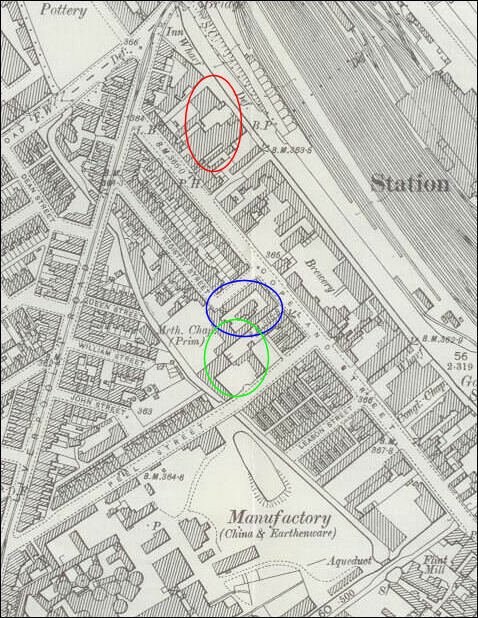 In 1881 the old Central works in Burslem passed into the hands of Wilkinson & Hulme and then, in 1885 to Arthur J. Wilkinson, who was the brother-in-law of Arthur Shorter. In 1891 Arthur's brother-in-law A. J. Wilkinson died in an accident and Arthur Shorter was asked to manage the A.J. 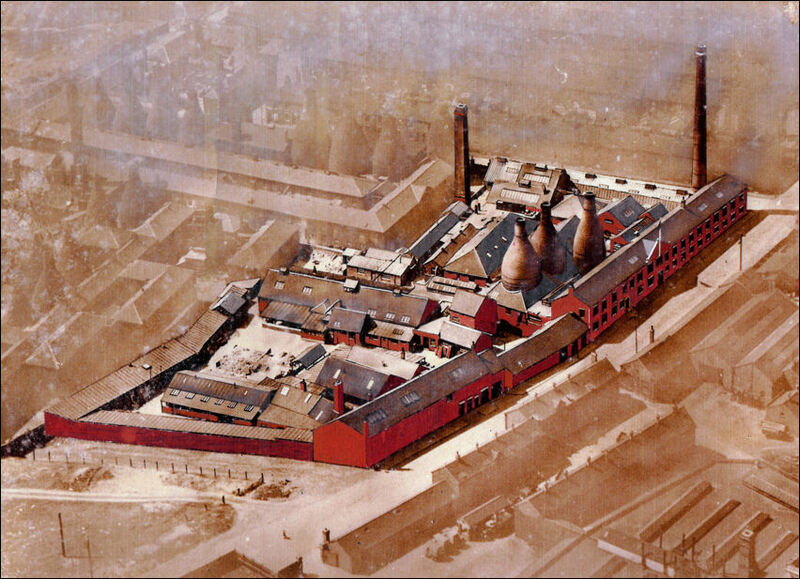 Wilkinson pottery in Burslem. 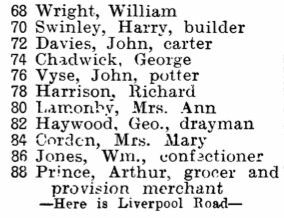 A few years later he bought the firm and in then in 1898 Arthur's son Colley joined him. His younger son Guy, who became manager at Shorter's in 1900, joined his father and Colley at Wilkinson's in 1905. A.J. 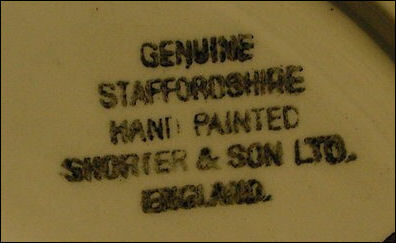 Wilkinson produced earthenware for the home markets but later on manufacture was confined to white graniteware for the United States. Wilkinson also introduced, with considerable success, gold lustres on the graniteware. The mark was the royal arms surmounted by the words ROYAL PATENT IRONSTONE and beneath, in three lines, ARTHUR J. WILKINSON. LATE R. ALCOCK, BURSLEM, ENGLAND. 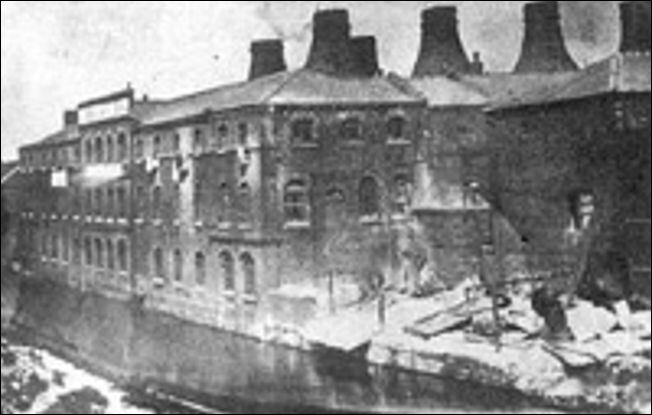 In about 1896 the company A. J. Wilkinson took over the Royal Staffordshire Pottery, Burslem and soon left the old Central works. 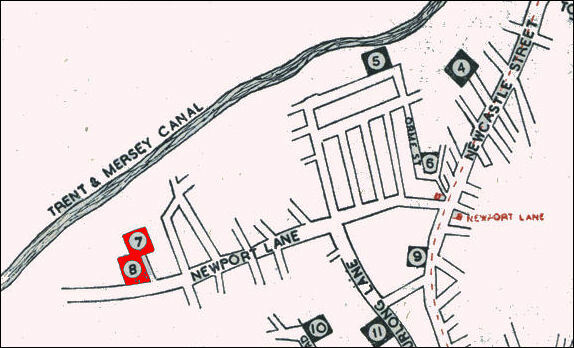 In 1920 the Shorter family acquired the Newport Pottery which was next door to the A.J. 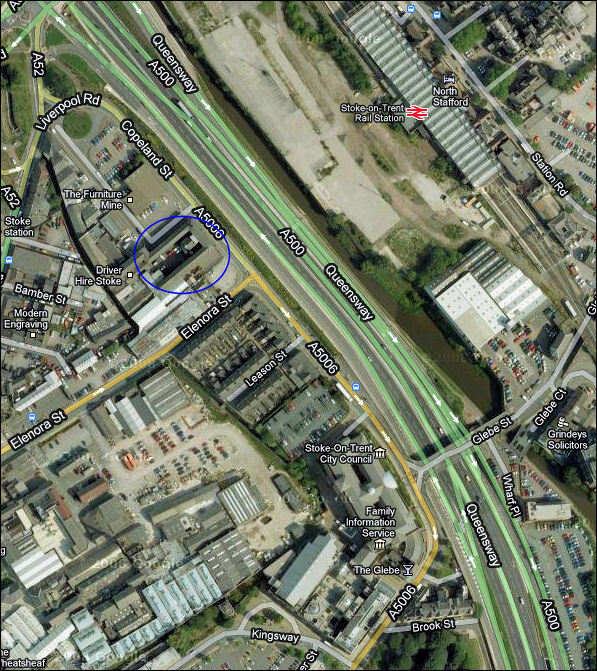 Wilkinson works in Newport Lane, Middleport, Burslem. By 1931 there was a workforce of up to 1000 at the Newport Pottery, with 150 boys and girls trained in the decorating shop, producing the Bizarre Ware modern shapes and designs. In 1916, the year that Colley and Guy became directors of Wilkinsons, Clarice Cliff, aged 17, started work there as a decorator and after three years she was apprenticed to the eminent artist John Butler as a modeller. In 1925 Colley Shorter, much impressed by Clarice's work, provided her with her own studio next to his office. He also sent her on a modern design course at the Royal College of Art and a trip to Paris to observe the arts scene there. Allowed to experiment with old Newport Pottery shapes, she produced her new bold geometric designs, so expressive of the Art Deco age. Colley was a consummate salesman and it was he who conceived the idea of personalising her designs with her signature, thus launching one of the 20th century's design legends. Colley Shorter died in 1963 after a two year illness. 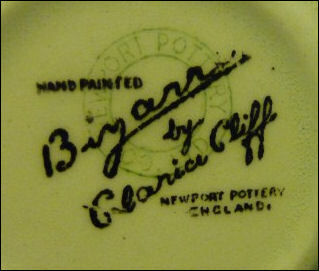 Clarice decided the time had come to retire and the Newport Pottery and Wilkinson factory sites were sold in 1964 to Midwinter's, this ended the production of all original Clarice Cliff wares. 9 Clay, -. Congregational Church Minister, Rev. J. A. Brown, B.A. 12 Yoxall, Mary Emma C.
to make way for the A500 road. 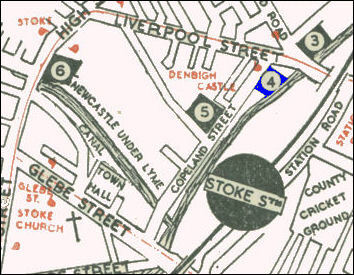 ...in the footsteps of Clarice Cliff - her life and times in Stoke-on-Trent. 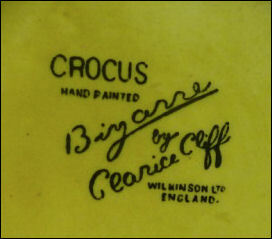 Clarice Cliff Collectors Club - the original web site for Clarice collectors, founded in 1982 by Leonard Griffin.